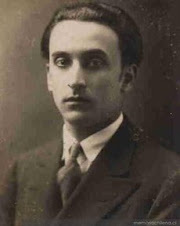 Omar Cáceres was born in Cauquenes, Chile on July 5, 1904 and became linked with the turbulent poetic and artistic period in South American literature of the 1920s. Primarily he devoted himself to literary criticism that appeared mainly in the Illustrated Journal. Critic Eliot Weinberger describes him also as being a violinist, the only sighted member of a orchestra for the blind. One source also describes him as joining the Communist Party. Cáceres' poetry appeared in two anthologies, Contemporary Chilean Poetry of 1931 edited by Ruben Azocar, and the controversial Chilean Poetry Anthology edited by Volodia Teitelboim and Eduardo Anguita of 1935. For the most part, however, his poetry remained unpublished until 1934, when his brother self-published a book for Omar, Defensa del ídolo (The Defense of the Idol). Discovering typographical errors in the book, the poet bought up almost all the copies and burned them. According to Weinberger, only two copies of the fifteen-poem publication, remain intact. The introduction to this book was written by the great Chilean poet and writer Vicente Huidobro, although it is unknown whether the two actually met. Little else is known about him. He died under strange conditions, his body being found in a rural ditch near Renca in September 1943. His head was cracked open and his pockets were empty.